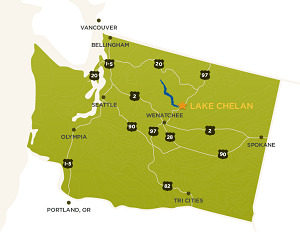 The Lake Chelan Valley encompasses the communities of Chelan, Manson and Stehekin. The Lake Chelan Valley is a great place to visit and an even better place to call home. The Valley offers four seasons of recreation, charming shopping districts, and bountiful agriculture including an emerging wine industry. Centrally located, full-time and part-time residents find it an ideal location for telecommuting with quality infrastructure and easy access to destinations across the state. The Valley’s natural beauty, coupled with abundant amenities, make it an excellent place to live. With ample opportunities for outdoor recreation, a thriving art scene, and a superior community hospital, residents of the Lake Chelan Valley pride themselves on having a high quality of life. The Chelan Valley maintains the strong sense of community rich in small towns. Residents greet each other by name and community service is alive and well, apparent in strong participation among the community’s civic groups. The Valley’s natural beauty, coupled with abundant amenities, make it an excellent place to live. 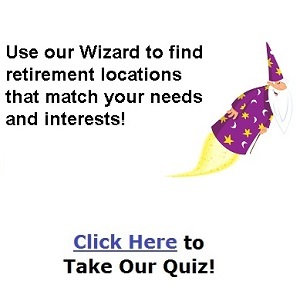 Includes Cities/Towns: Chelan, Manson, Stehekin. It’s true. The sun shines a lot in the Lake Chelan Valley. But that’s not all you’ll find here. Waterskiing and wine tasting. Snowshoeing and stargazing. Hiking and history lessons. Fine dining and being fine with doing absolutely nothing. Discover unforgettable experiences and friendly faces among mountains, vineyards, a historic Main Street, and of course, the pristine blue waters of the lake. Then mix and repeat, season after season, to create your own traditions in Lake Chelan. The Lake Chelan Valley a thriving art scene. We have a great locally operated museum and a beautiful new Library. We have a regional bus system and limited taxi services. We have a critical access Public Hospital, two community clinics and an assisted living facility. Jan 25.0 F° 29.5 F° 34.0 F° 3.2 "
Feb 26.7 F° 33.5 F° 40.3 F° 2.2 "
Mar 32.3 F° 41.2 F° 50.0 F° 1.6 "
Apr 38.7 F° 49.5 F° 60.3 F° 1.0 "
May 46.3 F° 58.0 F° 69.7 F° 1.0 "
Jun 53.3 F° 65.0 F° 76.7 F° 0.9 "
Jul 59.3 F° 72.2 F° 85.0 F° 0.4 "
Aug 58.3 F° 71.5 F° 84.7 F° 0.4 "
Sep 49.7 F° 62.5 F° 75.3 F° 0.6 "
Oct 40.0 F° 49.8 F° 59.7 F° 1.6 "
Nov 31.7 F° 37.3 F° 43.0 F° 3.5 "
Dec 24.3 F° 28.7 F° 33.0 F° 3.3 "
Chelan’s arid climate and lack of rainfall make it a popular year-round destination among outdoor enthusiasts. The Valley experiences over 300 days of sunshine annually and has four distinct seasons. Despite the area’s desert climate, agriculture abounds thanks to irrigation from the lake as well as the Columbia River. Chelan & Manson: 12 in. Stehekin/Upper Valley: 35 in. Lake Chelan Chamber events and community events.